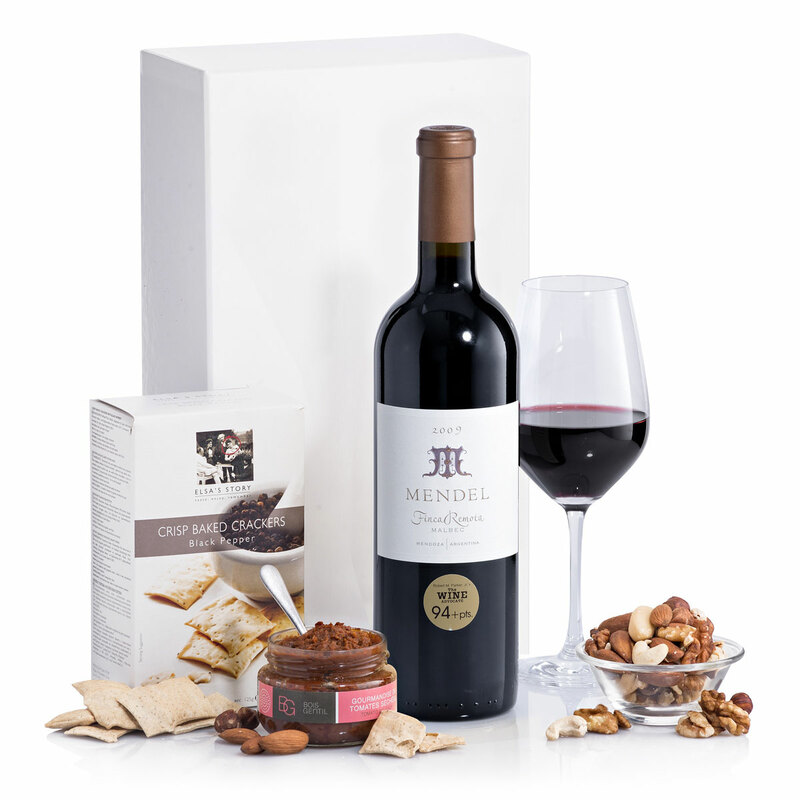 Make any occasion unforgettable with a luxury red wine gift basket. An outstanding bottle of Mendel Finca Remota red wine from Argentina is certain to please even the most discriminating palette. 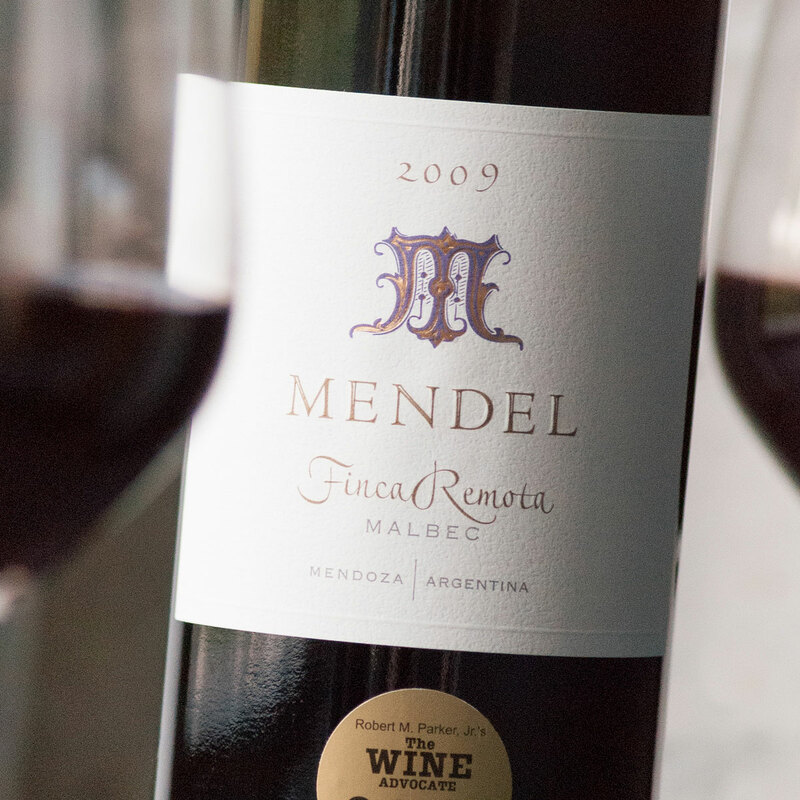 A very dark purple with intense red and black fruit flavors, Mendel Finca Remota delights the senses with its floral aromas and long spicy finish. 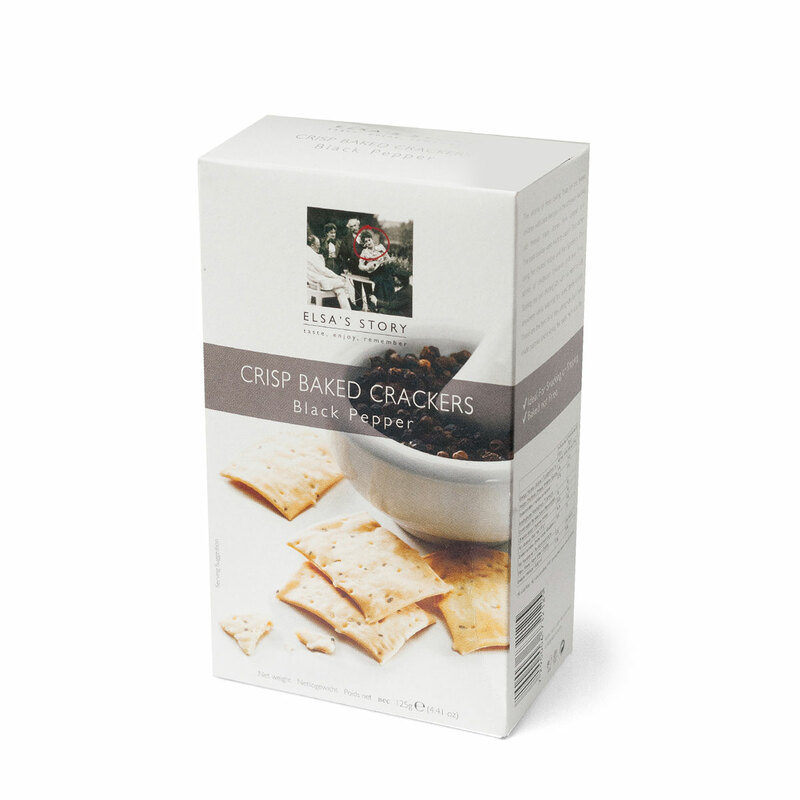 It is an ideal complement to rich holiday meals such as roast beef, veal, or duck. Our red wine gift basket is completed with a selection of our best savory snacks: Elsa's Story Crisp Baked Crackers, Domaine du Bois Gentil Tapenade Verte, and mixed nuts. Send this impressive wine gift basket in honor of life's most special celebrations this year. The glass, the spoon and the bowl are not included in the gift. 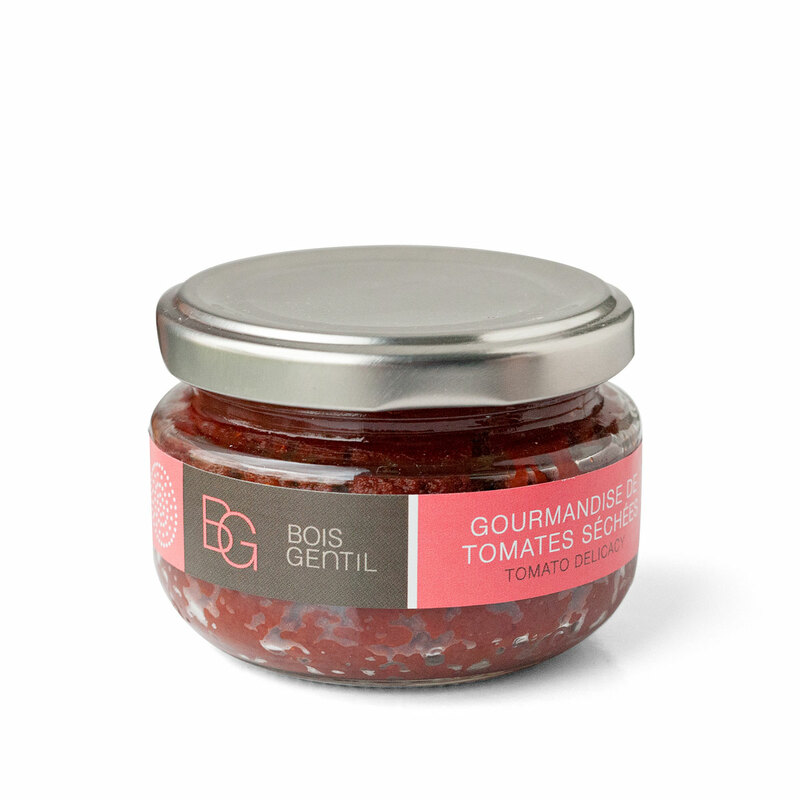 Domaine du Boise Gentil uses the only the finest tomatoes from Provence, France to make gourmet savories. The Tapenade spread is created from tomatoes and herbs. Ingredients: Tomatoes (68.5%), canola oil, garlic, sugar, basil, salt, lemon juice, pepper, natural flavouring.